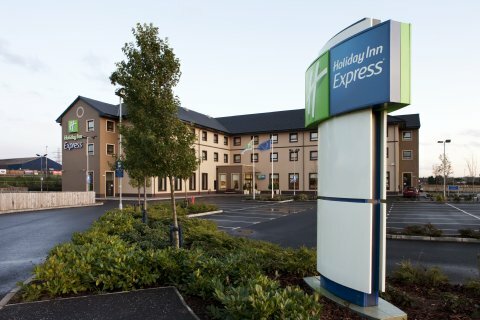 Express by Holiday Inn Antrim is located at Junction One, Irelands largest International Shopping Outlet. Ideally located within a two minutes&reg drive of the M2 motorway, Express by Holiday Inn Antrim is only 20 miles and a 15 minute drive from Belfast. And short drives from the towns of Ballymena and Coleraine. Londonderry is also not far from the location. Belfast International Airport is less than 5 minutes away. This budget hotel in Antrim has 90 stylish but simply decorated bedrooms, all with Sky TV, tea/coffee making facilities, power showers, broadband internet and desk top workspace. The hotel prides itself on its vibrant friendly approach. Every guest is made to feel at home as soon as they walk through the door.